This event is all about shrinking your energy footprint, to benefit the environment—and your budget! 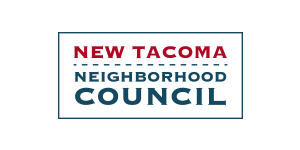 Tacoma Power Conservation will be presenting, and Matt Stefnik from Matthew's Energy Services will be explaining the basics of building science, understanding how your house breathes, basic weatherization, and how to calculate the return on an investment in energy-saving improvements to your home (and much more!). Now's your chance to get information directly from the experts! Bring your questions for a Q&A session after presentations. This is a free event, paid for by the generous support of our community!